Created by FantasyPros, the #1 fantasy sports advice and tools provider in the world, My Playbook is a powerful app that lets you import your team to get custom advice and make better decisions. Download now for the ultimate edge and win your 2018 fantasy baseball leagues! What do you get with My Playbook? Import your team for custom news, rankings, and analysis. Stay on top of the latest player news, notes, and updates. Access daily, weekly, and season projections. Timely research and reports from one convenient spot. Identify the top players to pick up in your league. 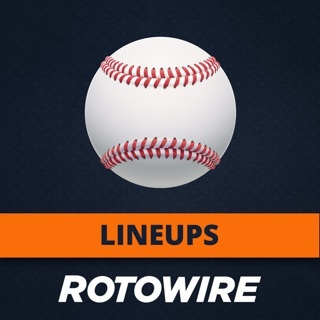 See what your optimal lineup is each week. View suggested players to add and drop. Find out if you should accept or reject a trade. See how your team stacks up against your league. 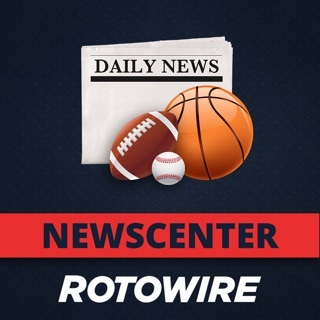 Note: This app supports team imports from the following league hosts: Yahoo!, ESPN, CBS Sports, RT Sports, Fantrax, and NFBC. - Follow us on Twitter (www.twitter.com/fantasypros) or join our Facebook page (www.facebook.com/fantasypros) to give us feedback and get updates. Upgrade to FantasyPros premium, and unlock powerful draft and in-season features for all sports. If you subscribe via iTunes, payment will be charged to your iTunes Account upon confirmation of purchase. All subscriptions will automatically renew unless unless auto-renew is turned off at least 24-hours before the end of the current period. Your account will be charged for renewal within 24-hours prior to the end of the current period at the rate of your selected plan. You can easily manage or cancel your subscription at any time from your Account page at FantasyPros.com. Cancelled subscriptions will continue to have access up until their scheduled renewal date. The 2019 fantasy baseball season is approaching. My Playbook is officially open for league imports and all tools are available for all of your in-season team management. Stay tuned for more big updates this season! I had used for the final month of my season as I was given a discount to try it out. The waiver wire advice was awful. Kept telling me to drop Luis Castillo (who was solid) and add Hunter Pence who at the time was averaging 4 AB a week. All the recommendations would have made my team worse. The line up suggestions were just as bad. Please note this in points leagues I am referring too. The app it self works fine but the playbook in baseball simply needs some fine tuning. However no syncing issues, rosters up to date, player news up to date, for tracking purposes this app is great. Especially those in multiple leagues. Worth it if you plan in more than one league. What happened to daily lineup assistant? I was really enjoying this app until the most recent update. I used the app everyday to build my lineups for the following day's matchups. With the latest update, I can no longer choose to build my lineups for tomorrow. The only timeframes available are today and this week. That's not helpful in a daily lineup league. I'm really disappointed I can't use the app for this and have to resort to the website instead. App doesn’t show all players imported from a single CBS league, so my lineup assistant shows me without my top 5 hitters every day. The website itself won’t allow to add statistics that are scored in my league (outs recorded), so pitching stats are heavily skewed showing a guy like Chris Sale is worth 7 points each start. I paid for a month of PRO to see if that was the problem and it isn’t. Feel free to waste your time playing with the app but DO NOT SPEND MONEY on this trash. FantasyPros Who Do I Start?